I think it's wonderful that you have a story to tell, a few stairs to climb and aspire to reach somewhere. It's in school days that I came to know of my love for poetry writing, and it's wonderful to see there were contests for school kids that helped get their story put to print. 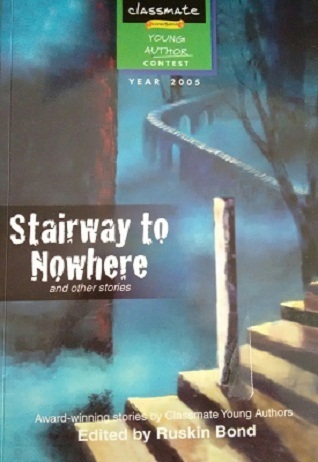 Stairs to Nowhere, named so, I guess because quite a few stories in the book are titled thus (or maybe it was the theme given to them) brings out stories from young writers from different schools and from all across India. The stories in the book, reading now, feel average and could use a lot of editing or a bit of complexity, but I think looking at the bigger picture, and who wrote them, the effoert is commendable. Perhaps the presentation could have been nicer too, because it felt like I was reading a school textbook. Not a very memorable book, but one that I did like reading.